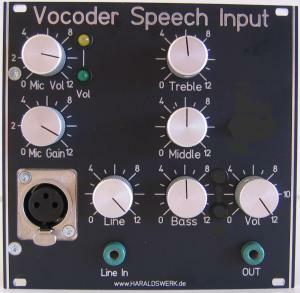 Here is the speech input module for my Vocoder project. It consists of a microphone preamp, a line input, tone control and a level indicators for the microphone input. The amplification of the microphone preamp is adjustable with one resistor (R8), to fit your needs. 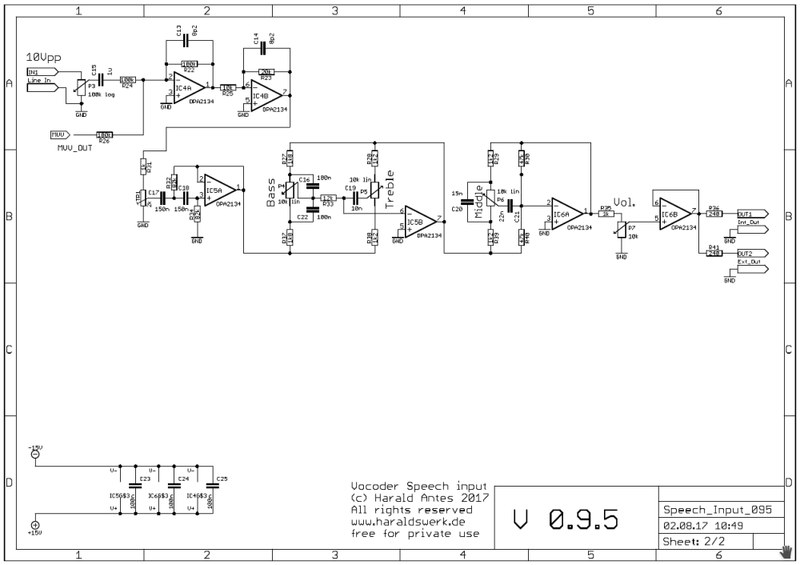 A level indicator is added to prevent overdrive and achieve a good SNR for your input signal. This stages are followed by the tone control. You can adjust bass, middle and treble over a wide range. The output buffer drives the signal for the analyzer module. On page 02 is the line input and the tone control. 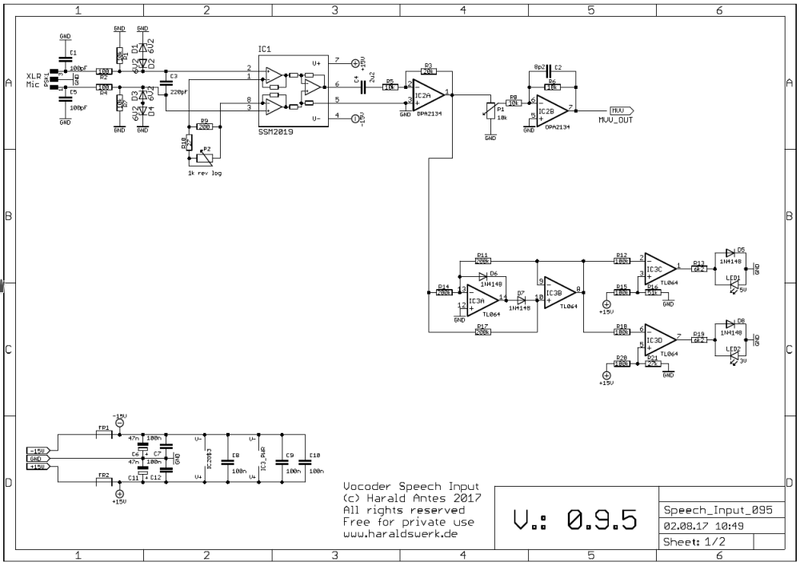 The line in input is laid out for 10Vpp signal. Change R22 to your needs if necessary for other input levels. The tone control is nothing special. Just a standard application. You can adjust bass, middle and treble over a wide range. Feed a 10Vpp/1kHz square signal to the line input. Set the tone control to neutral (Input and output signal should look nearly the same on the scope). Adjust TR1 so that the output level equals the input level when the tone control is set to neutral.